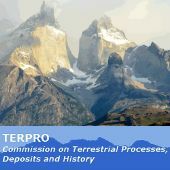 We are happy to inform that Dr. Chenxi Xu (Institute of Geology and Geophysics, Chinese Academy of Sciences - China) has been appointed as our new ECR representative for Terrestrial Processes, Deposits & History (TERPRO) Commission, replacing Dr. Nadine Hoffman until the next INQUA Congress 2019 in Dublin. Dr. Chenxi Xu is a dendrochronologist based on Institute of Geology and Geophysics, Chinese Academy of Sciences. His research focuses on tree rings and global changes using stable isotopes in tree rings to reconstruct high-resolution climate history in subtropical and tropical areas. He has a particular interest in monsoon changes on inter-annual to centennial time scales. We are looking for a new TERPRO representative for the INQUA-ECR Committee, during the present inter-congress period.